You’ve spent years cultivating a strong presence for your brand online, providing useful content, engaging social media posts and, now, even unique video content. 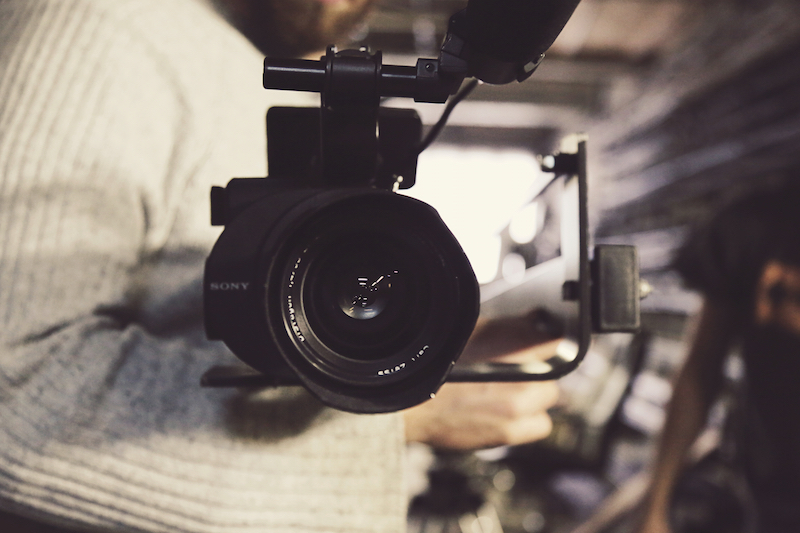 So what the heck is “video content marketing,” and why should you add it to your marketing toolkit? Since around the year 2001, companies have been using the phrase “content marketing” to describe the process of marketing products or services through engaging standalone pieces. Examples of content marketing are everywhere: from consumer magazines in newsstands (what do you think the real objective of Weight Watcher’s Magazine is?) to entire television shows centered around brands (think Disney’s Fairytale Weddings). Video content marketing, however, is a relatively new concept that’s taking off now that online content providers are switching to video in droves. It’s for good reason, too: according to Nielsen, 85 percent of the US audience watches videos online. So how should you incorporate this hot new trend into your own strategy? Read on to find out and see some great examples. No business is complete without a problem solved, right? (Answer: right.) Companies that solve a pain point for customers are typically the ones with the strongest unique selling proposition, which, if presented correctly, leads to more sales down the line. While your product solves the exact problem, there are probably secondary issues that arise that can be aided by educational video content. For an example, let’s think back to Weight Watchers. Weight Watchers’ objective is to help their customers lose weight. Their products and system helps their customers achieve that goal, and their unique points system making dieting easy to manage. By creating useful and engaging branded content, Weight Watchers capitalizes on the overhead recipe video trend while providing value and resources to their customers. By including the SmartPoints, they encourage non-customers to explore how the Weight Watchers system works. We know what you’re thinking: you’ve been blogging for years, and now you have to create an entirely different avenue of content production? Who has the time? This is a problem most content marketers (and editors, and journalists, and pretty much everyone who writes for the Internet) are facing now that the digital landscape is switching to video so quickly. 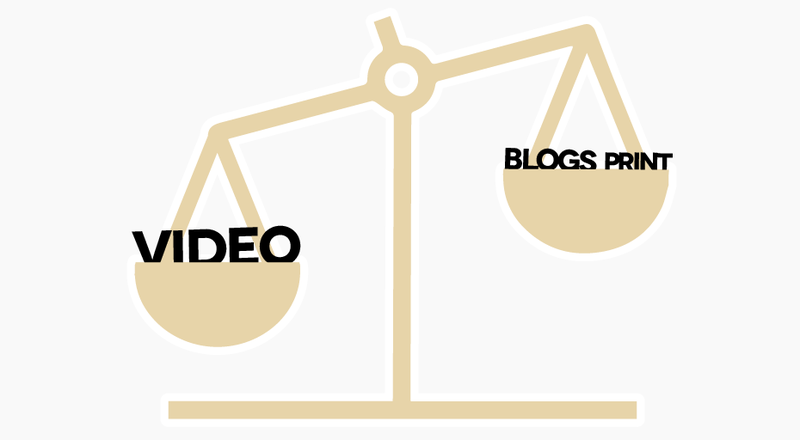 Luckily, you already have a bunch of content that you can repurpose into video, and you already have the link structure built to use those videos to generate traffic to your website. For a perfect example of making your text work double time, look at any local newspaper. These organizations are hit the hardest by the lack of attention span online, leading some to incorporate paywalls and other ad structures into their website. Most, though, do one thing in particular: print stories almost always include some kind of accompanying video content. Yes, it’s annoying when they auto-play, but incorporating that video into a print story allows causes the reader to stay on the page longer and opens the door for video ads. Do we wish the results were prettier? Of course. Does everyone still need video regardless? Definitely. One of the best examples of video marketing we’ve seen is the MyHouzz series by Houzz, which gives the families of celebrities complete home makeovers (while touring the Houzz product). The series is heartwarming, educational and fun to watch. MyHouzz makes Houzz’s home design platform an easy sell, as the designers use the product throughout the videos and demonstrate its usefulness. While the branding is transparent (no one would ever think this wasn’t a self-produced video), the promotional aspects are evened out by the candidly human moments — Mila Kunis’ parents walking in on a brand new house, for example. The series is a content marketing unicorn: it’s certainly generating profit for the company, and it’s incredibly fun to watch. Who doesn’t like a good old fashioned before and after shot of a redesigned home? In your own content marketing, you should be just as committed to the viewer experience. Just because something is a business tool doesn’t mean it has to be stuffy. Be creative, think outside the box, and if you need an award-winning video production agency‘s advice…just give us a call.